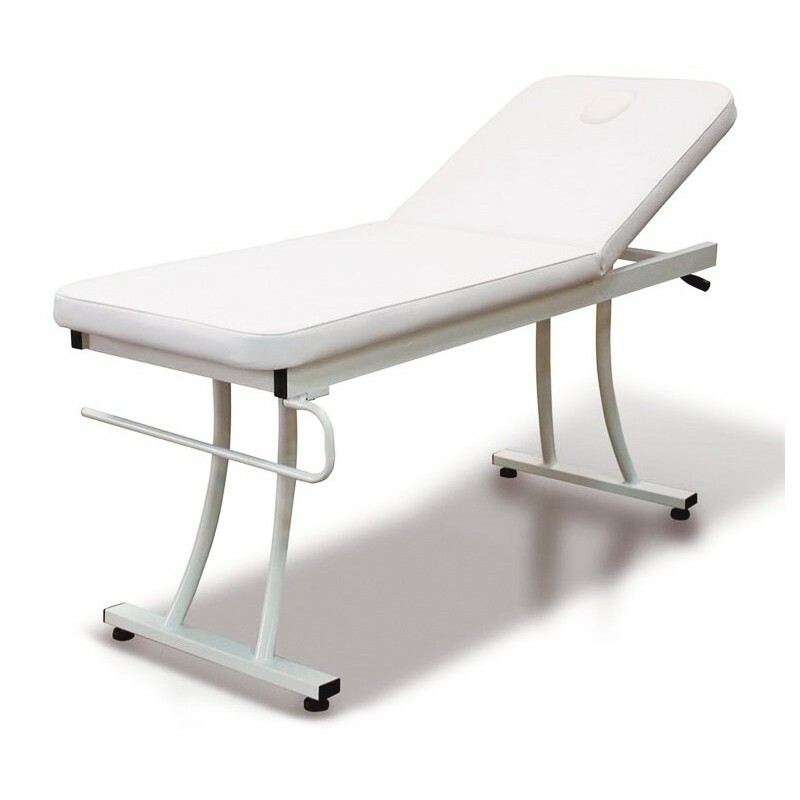 2-section multipurpose fixed bed. Backrest with breather hole manually adjustable. Easy-to-clean white PVC upholstery. It is equipped with a paper roll holder.